May be this is an exaggeration. But I felt many times that there is only one place in the world where we find a strange combination of sweet tongue and intelligent deception followed by cutthroat action. That is the banking sector. We would also see the greatest paradoxes there. While the multibillionaire who evades the repayment is treated with soothing drinks and cookies in the chamber of the chief manager, the goons of the bank threaten the poor farmer with auction notices for his hut, driving him to suicide. Such banking mode of conduct is not limited to the private banks, but to the public sector, the scheduled and the co-operative banks as well. Who will render justice in an unequal banking world? It was sad to hear that a poor farmer was imprisoned in Kerala for the delay in repaying an instalment of the loan taken to pay his daughter’s fee. A few days back a farmer who stayed in Kundapur in Udupi who owned 1.3 acre of rubber plantation committed suicide when he could not repay a loan from a co-operative society. For a ‘favored’ customer, loan conditions are either waved or compliances fabricated. 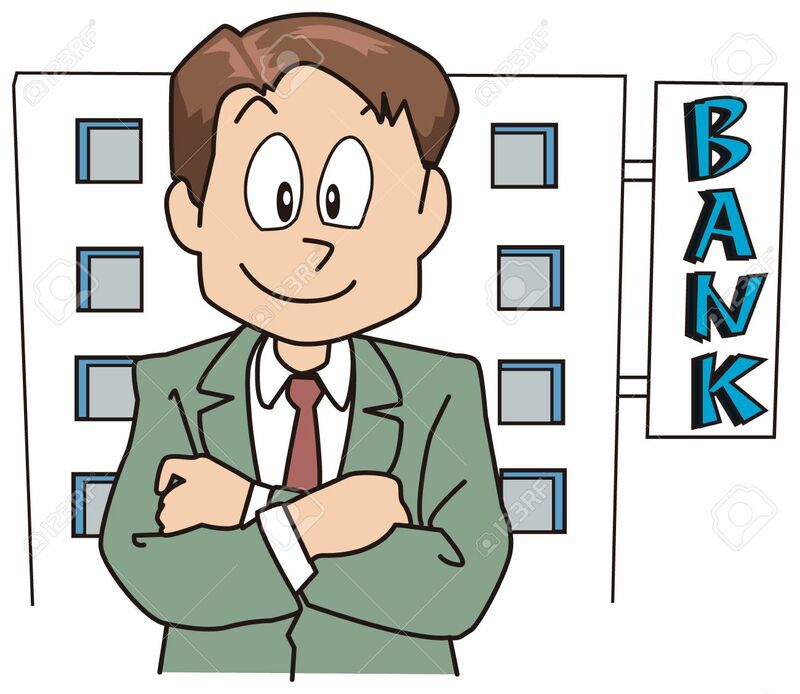 But, the banker will look at a small customer who is in dire need of a loan as a potential cheater who might run away with bank’s money and insist for compliance to stringent and outdated terms and conditions. Apart from farmers, another category of victims of highhandedness of banks are the students. Not very long ago, a hapless nursing student committed suicide due to the harassment of bank officials. Impractical, complex and discouraging approach of the bank authorities force people to fall in the hands of unscrupulous and greedy money lenders. When I got my job, I approached the manager of a scheduled bank for a car loan. Apart from the hypothecation of the car, salary certificate and an agreement to debit the EMI from the salary account, the manager wanted original deed of at least 2 acres of land as security to grant the loan, that too at an exorbitant interest rate. It looks like most bank managers are trained to do anything for the sake of results. They are committed ‘utilitarians’. They believe in the end, not the means. So much we hear about promotion of start-up companies these days. But ask any young, bright and enthusiastic innovator who wants funds for her venture about her experience while interacting for a bank loan. Most bank managers are hesitant to support young entrepreneurs like her in spite of a collateral security. Even if their actions lead to shattering of dreams of a farmer, entrepreneur, or a student, the officials go by rulebook if the customer is not a big fish. However banks and their legal teams close their eyes on the benami properties of large defaulters who ran to BIFR (The Board of Industrial and Financial Reconstruction) or other similar agencies. Banks in turn treat the outstanding as irrecoverable bad debts and cry to the government for schemes in the budget to rescue their stressed assets. Bank managers are never shy of illegal or slush money (I don’t like to use the world ‘black’ to refer to unaccounted money as the world has inherent racial bias). 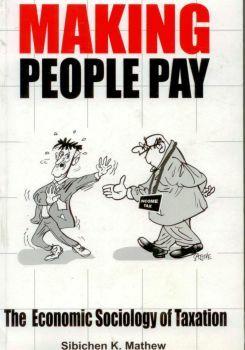 In those days when banking was not computerized, bank managers used to keep the account pass books of the large depositors of money not disclosed to tax authorities in their cabin or in their house. These accounts were known only to the manager or his one or two trusted staff. They still do that albeit in different ways. Not only swiss banks, many desi banks too are notorious for money hiding. They will receive any sum with widely stretched hands and lips. Financial institutions are supposed to send ‘Cash Transaction Reports’ (CTR) and ‘Suspicious Transaction Reports’ (STR) to the Financial Intelligence Unit of the country (FIU-IND). However, detection of huge unaccounted income by enforcement authorities indicates that the reporting mechanism has been flouted in such cases. Immediately before the serial bomb blasts in Coimbatore in 1997, it was noticed that crores of rupees were transacted through the bank accounts of an STD booth owner from a branch of a scheduled bank in Mumbai to its branch in Coimbatore. Funds related to drug trading, terrorism and other illegal activities are transacted through KYC-non-compliant accounts and it is extremely difficult to nab the criminals and beneficiaries and to ascertain the character and purpose of the transactions. Some bank officials double up as tax consultants too. Many managers are experts in giving dubious tax advices to those slush money holders and tax evaders who want to pump them to respectable domains. They suggest different strategies based on the quantum of the amount. If the amount is only a few million, they suggest them to deposit the money in multiples of Rs 49999/- or less to escape quoting of PAN number. The mangers are very benevolent by giving them blank Forms (15G/15H) to sign which contain a declaration that the taxable income of the depositor from all sources is below taxable limit and therefore no tax be deducted from the interest income. Some mangers would open accounts in various names (they themselves will suggest the names, if the depositor is in short of names to open SB accounts: Ramasamy, Chinnasamy, Munisamy, Narayanasamy, Rathnasamy etc. with many permutations and combinations of names ending in Samy, Sami, Swami, and Swamy ). 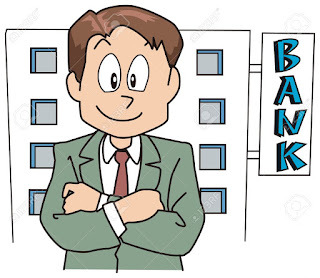 Some co-operative banks in the country are dens of illegal deposits and therefore they oppose the rules related to quoting of PAN and deducting tax on the interest income. People spend huge sums to get elected to the boards of such banks for obvious reasons. Some banks aid in money laundering in grand scale globally. Recently, a few banks including one in the public sector were found to be aiding an organized racket of money laundering in the guise of remittances related to export and import. As per reports, many domestic help, rickshaw-pullers, drivers and unemployed youth were made directors in fake companies (by giving them a few thousands of rupees) as part of Rs 6000 cr ‘banking-hawala’ scandal. The scam came to light when an internal audit team alerted the top managements about a fraudulent trade circuit wherein exports were made through inflated bills and duty drawback claimed through fake import bills by a few businessmen. Case is being investigated by CBI, ED and SFIO (Serious Fraud Investigation Office). If you thought that only persons like Satyam’s Ramalingaraju can show huge deposits out of thin air to mislead the investors and potential collaborators, you are mistaken. Some of the bank mangers in interior Kerala could certify that their branch deals in huge foreign currency to aid the black money launderers. 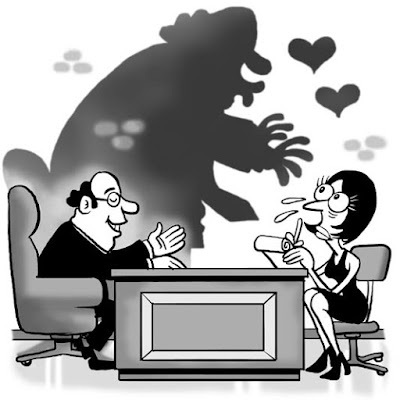 In one case it was found by the concerned enforcement authorities that a bogus certificate was issued by the manager of a scheduled bank that a particular NRE account maintained in the branch contained huge amounts in foreign currency and a cheque was issued to a tax evader by the account holder as a gift out of ‘love and affection’. Everything was strange here: Donor and donee didn’t know each other; foreign currency was not actually deposited by the customer, but by an agent dealing in such currencies; and donee paid the money in Indian rupees including an attractive commission to the agent. The bank manager and the NRE account holder got their share of commission for illegally ‘renting’ out the bank account for such transactions. How could such transactions escape the internal audits and statutory audits? (That is another issue of concern. The present system of statutory audit is marred by corruption, nepotism and inefficiency. Read this article). Thousands of cases of cyber money frauds are happening across the globe. Lakhs of people are cheated by the fraudsters who operate as insurance agents, telecom tower installers, multilevel marketing firms etc. In all these cases money is ultimately withdrawn by the fraudsters through bank accounts opened by violating the KYC (Know Your Customer) guidelines and hence police is unable to track the funds or the criminals. Banks cannot absolve their responsibilities in such crimes perpetrated with the connivance of their officials. Banks are also unjustly enjoying thousands of crores of unclaimed deposits without taking any action as per the circulars issued by RBI directing them to find out the whereabouts of the depositors or their immediate heirs, nominees or introducers. They are reluctant to treat them as inoperative accounts. There is a likelihood that such inoperative accounts are used to aid the fraudsters and launderers since these accounts are already KYC compliant. Unless such inoperative accounts are separately categorized and audited, these would be used for dubious purposes with the collusion of officials. Management institutes have reluctantly incorporated Business Ethics as a course for the MBA students. When it was an elective, there were no takers for this course as students thought that any credit received for that course would not increase their bargaining power (for higher pay) in the job market or during the campus placements. After witnessing thousands of scams all over the world, a course called Corporate Governance and Business Ethics has been introduced as a compulsory paper in management schools. But many banks are yet to give priority to teach their officer trainees lessons in ethics in marketing, finance and accounting. Obviously some managements don’t want their officials to be too much ethical when it comes to increasing the bank’s profits. Their definition of honesty is limited to protection of bank’s assets and their brand value and nothing more. King David is a character depicted in the Old Testament of Bible. He was an ordinary shepherd who successfully confronted the nine-foot, bronze armoured Philistine giant Goliath with a sling and a few stones. He became the king of Israel by defeating exploiters and enemies of the people of the nation. He was a very efficient administrator and was committed to delivering justice to his people. It is written that he was also a man of integrity. However, one single act of succumbing to his lust resulted in his downfall. While his men were at war, he spied a beautiful woman, Bathsheba, from his rooftop. Though he found that she was married to one of his army men, he forced her to be in a relationship with him. He sent her husband to the front lines of battle where he got killed. David then married Bathsheba and was severely rebuked by the Prophet Nathan who said, ‘sword will never depart from thine house’. David cried to God for the rest of his life in repentance: ‘For I acknowledge my transgressions, and my sin is always before me. Against You, You only, have I sinned. And done this evil in Your sight’. The President and CEO of a multinational company that provided full-spectrum consulting, technology and business process outsourcing was shown the door after an investigation by a counsel engaged by the Board, where they found that he had a relationship with a subordinate employee; there was also an allegation of sexual harassment. He had demonstrated outstanding leadership skills during his 10-year tenure. In a media release, the company admitted that he worked hard to establish the company as a leader in the IT industry. The gentleman had earlier headed the global operations of another IT giant till he was asked to quit on allegations of sexual harassment there as well. He was widely credited for his crucial contribution in making the company achieve a turnover of over 700 million dollars from a meagre 2 million dollars, all within a few years. The company had to pay the employee a whopping 3 million dollars in an out-of-court settlement. There are several such incidents reported about successful leaders. The Director General and CEO of an International agency with a 1.2 million membership had to resign on an allegation that he sexually abused a child more than thirty years ago. He was a person with excellent leadership skills and led the organization very efficiently for several years. In another case, an organization accused the head of a premier intelligence agency in one country, stating that he was in the habit of hiring a prostitute every three days. A former minister of railways in a country was accused by the government of taking favours in the form of women, including actors, for sanctioning contracts for high speed rail projects and transportation of coal. The heads of some international regulatory and funding organizations have also faced allegations of sexual misconduct and have had to resign pending an investigation into the allegations. After a hotel maid accused the head of an international financial institution of sexual assault, it took months to get the charges cleared, and even then he struggled to regain his image. Though some people tend to forgive leaders’ sexual transgressions, such incidents usually devastate their career at least for a few years. BD, the CEO of a multinational retail company, had to resign because the company found that he had an inappropriate relationship with a female employee. In another incident, after 31 trainees complained about the sexual misconduct of GP, an efficient Air Forces Colonel, he was relieved of his duties. Recent incident is the accusation against RKP, a very senior scientist of a prestigious energy research institute. Why only the powerful and successful people are accused? All incidents reported may not be truly cases of sexual harassment. Many leaders at the pinnacle of success have been brought down because of charges of sexual misconduct. In most cases, allegations are aimed at making such persons give up their grip on the organization. Efficient and disciplined bosses have often had to leave organizations simply because of suspicion, even when such allegations are not proved. There are many incidents were women use such accusation as a ploy to corner a tough boss. There are two factors common in the above cases: all the accused were in powerful positions and were successful leaders who had turned around their respective organizations. No organization would have liked to terminate them. Power and success can thus make people overconfident about their acceptance in the organization. In an excellent analytical article in the Journal of Business Ethics way back in 1993, Ludwig and Longenecker pointed out how successful people fail ethically at some point. They said that success makes managers complacent and lose focus. With large teams and resources at their disposal, they may begin to have a tendency to indulge in excesses. Further, people who depend on them become vulnerable to their actions. Also, in spite of their strong position as superiors, they may become weak before attractive women in the team. The success and power do not intoxicate a person who is emotionally mature, ethically conscious, socially responsive and morally strong. There is a need to draw lessons from the experiences of people who are fallen from grace due to avoidable aberrations. © Sibichen K Mathew. Views are personal. Some incidents illustrated here are sub judice and hence not aimed at passing a judgment against the persons involved. 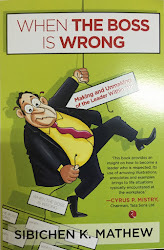 (Above content is partly based on a chapter on the subject written by author in his book ‘When the Boss is Wrong: The Making and Unmaking of the Leader within You’’. Read the book published by Rupa Publishers to know about more interesting stories on ‘Bosses and the Bathsheba Syndrome’. Available in your nearest books store or Amazon or Flipkart). Another fatal infection in your backyard:Scrub Typhus! Beware! My family and me spent a few days during our Christmas-New Year holidays at my in-laws’ house. It was a happy time as we celebrated their wedding anniversary and the birthday of Father-in-law (Daddy). Just a day before we left, Daddy complained of slight fever. As per the physician’s advice, he took paracetamol for a few days. Since the fever was not coming down, paracetamol was given as I.V. The blood test was repeated to verify attack of any virus and nothing adverse was noticed. We constantly enquired over phone as we lived in a different city. Temperature became normal for two days and then again went up. He was admitted to a nearby hospital and mild fever continued for a few days more and doctors there had no clue about the disease. They said, it could be a urinary infection and started giving medicines for that. They also put him in ICU to check his cardiac status as his BP shot up. As they found the ECG and Echo normal, they told mummy that the fever will go once the urinary infection is reduced. Meanwhile my wife took the night bus and reached the hospital in the early morning and found Daddy almost collapsed in his bed, unable to move or speak. The transition to this stage was in a matter of a few hours. Till the previous night he was moderately active and was speaking to everyone. My wife who is also a doctor asked the physician of the hospital about the status of the patient. He said, ‘he is suffering from dementia’. My wife did not believe the physician’s story of urinary infection and dementia and told him so. She said she is taking him out of the hospital to get him readmitted in a better hospital. The physician didn’t like someone questioning his theory and angrily disappeared from the scene. Daddy was rushed in an ambulance to a nearby multi speciality hospital (SUT Hospital). By that time his kidneys and other internal organs had malfunctioned. It did not take more than a few minutes for the physician Dr Dhanya to zero in on the most probable infection: Scrub Typhus. She immediately started the appropriate antibiotic without waiting for the blood results which confirmed the disease after 24 hours. Daddy was put under life support in the ICU. We need to be aware and beware of this as it is fast spreading all around. Scrub typhus is an acute, febrile, infectious illness that is caused by Orientia (formerly Rickettsia) sutsugamushi. It is also known as tsutsugamushi disease. Scrub typhus is transmitted to humans and rodents by some species of trombiculid mites (“chiggers”, Leptotrombidium deliense and others). The mite is very small (0.2 – 0.4mm) and can only be seen through a microscope or magnifying glass. Humans acquire the disease from the bite of an infected chigger. The bite of the mite leaves a characteristic black eschar that is useful to the doctor for making the diagnosis. Scrub typhus is prevalent in many parts of India but specific data are not available. There have been outbreaks in areas located in the sub-Himalayan belt, from Jammu to Nagaland. There were reports of scrub typhus outbreaks in Himanchal Pradesh, Sikkim and Darjeeling (West Bengal) during 2003-2004 and 2007. Outbreaks of scrub typhus are reported in southern India during the cooler months of the year. Scrub typhus is a reemerging infectious disease in India. It occurs more frequently during the rainy season. However, outbreaks have been reported during the cooler season in southern India. Certain areas such as forest clearings, riverbanks, and grassy regions provide optimal conditions for the infected mites to thrive. What are the clinical symptoms of Scrub Typhus? The chigger bite is painless and may become noticed as a transient localized itch. Bites are often found on the groin, axillae, genetalia or neck . An eschar is often seen in humans at the site of the chigger bite. The illness begins rather suddenly with shaking chills, fever, severe headache, infection of the mucous membrane lining the eyes (the conjunctiva), and swelling of the lymph nodes. A spotted rash on the trunk may be present. Symptoms may include muscle and gastrointestinal pains. More virulent strains of O. tsutsugamushi can cause haemorrhaging and intravascular coagulation. Complications may include atypical pneumonia, overwhelming pneumonia with adult respiratory distress syndrome (ARDS)–like presentation, myocarditis, and disseminated intravascular coagulation (DIC). Patients with scrub typhus often exhibit leucopenia. How to differentiate scrub typhus from other diseases? Differentiating scrub typhus from other forms of typhus as well as from fever, typhoid and meningococcal infections is often difficult during the first several days before the Scrub Typhus initial rash appears. The most common signs are similar to a variety of other infectious diseases (typhoid fever, murine typhus, leptospirosis and dengue fever, etc.) which should be taken into consideration. The geographical location of scrub typhus, the initial sore caused by the chigger bite, and the occurrence of specific proteins capable of destroying the organism (antibodies) in the blood, provide helpful clues and are useful in establishing the diagnosis. What diagnostic tests are available for confirmatory diagnosis of scrub typhus? What is the effective treatment against scrub typhus? Scrub typhus is treated with antibiotics. The drug most commonly used is doxycycline; but chloramphenicol is an alternative. It has been shown that a single oral dose of chloramphenicol or tetracycline given every five days for a total of 35 days, with 5-day non-treatment intervals, actually produces active immunity to scrub typhus. There are no effective vaccines for scrub typhus. In endemic areas, precautions include wearing protective clothing. Insect repellents containing dibutyl phthalate, benzyl benzoate, diethyl toluamide, and other substances can be applied to the skin and clothing to prevent chigger bites. Do not sit or lie on bare ground or grass; use a suitable ground sheet or other ground cover. Clearing of vegetation and chemical treatment of the soil may help to break up the cycle of transmission from chiggers to humans to other chiggers. The early diagnosis of acute scrub typhus can greatly reduce the chance of life threatening complications and guide optimal therapy. Awareness and education activities should be targeted at schoolchildren, teachers and women groups in endemic areas. Involvement of community-based organizations in prevention and control of scrub typhus is important. Rodent control is a multidimensional activity that requires multisectoral cooperation. Different control strategies such as trapping, poisoning and use of natural predators are in practice. Allowing weeds to grow around buildings also encourages rats and mice. Good sanitation in and around buildings creates an environment that is less suited for rodent populations. Proper sanitation may not eliminate rat populations but often can prevent them from flourishing in high numbers. Repeated increase in rodent population even after the use of poisons is a good indication that habitat modification is needed. The late diagnosis had resulted in the failure of internal organs. With systematic treatment and repeated dialysis, he could be revived. He had to be in the hospital for about two weeks. Though he is back home, it will take a few months for him to recover fully to good health. A few points to note! Never delay a blood test if the fever continues for more than three days. Make sure that the patient’s tests are done in a reputed Lab with all facilities. Don’t think of saving money by going to a small hospital with inadequate facilities. It will be fatal! It was a big mistake that Daddy insisted on getting admitted to a small hospital (advertised by them as speciality hospital) where there were no proper medical assistance. Never completely trust your medical insurance company! They will promise to give you money and will vanish at the time of billing!